ALCANTARA®‘s ‘can you imagine’ exhibition at the MAXXI in rome, invited ten designers to create new works using their suede-like artificial leather. japanese designer nendo was one of the selected for which he created the ‘non-slip birdhouse’. for the development of his project, nendo investigated ALCANTARA® ®’s many material qualities, particularly its suede-like texture which offers a non-slip surface. 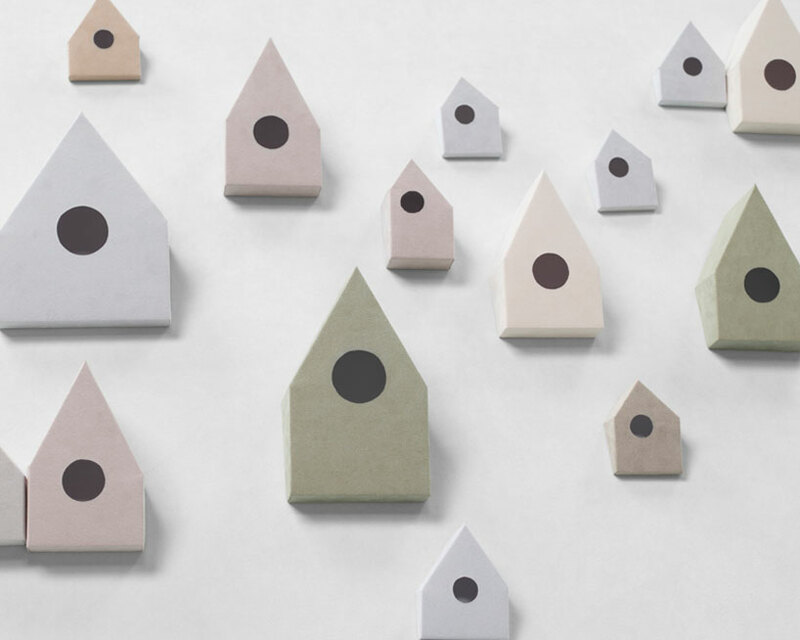 with this in mind, nendo decided to create a series of birdhouses that take advantage of this characteristic, finishing both the houses and a slanting wall in the hi-tech material. the special finish allows the birdhouses to stay on the wall through friction alone, without the use of any glue or screws, demonstrating the charm of ALCANTARA®. the ‘can you imagine’ exhibition runs from october 6th through november 7th at the MAXXI. see designboom’s article ‘ALCANTARA® is not a fabric…‘.